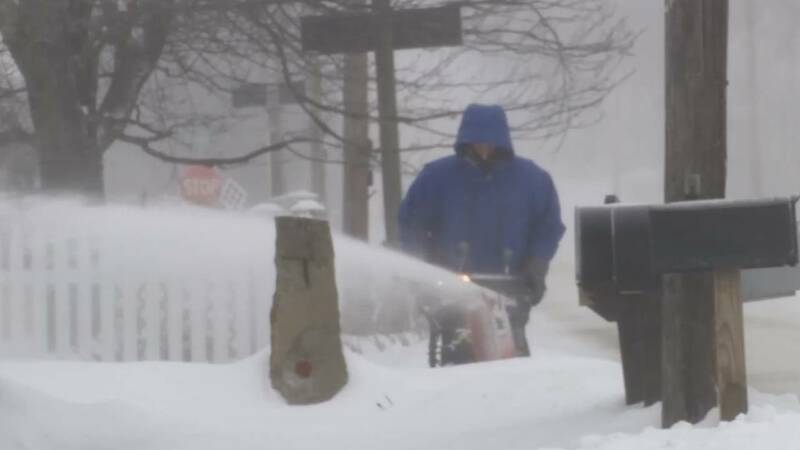 DETROIT - A winter storm system will bring a messy wintry mix to Metro Detroit Tuesday night - and several inches of snow to the north. A Winter Weather Advisory is in effect from 1 p.m. Tuesday to 5 p.m. Wednesday for all of Northern Lower Michigan from Cadillac to Alpena to Traverse City and into the Upper Peninsula. 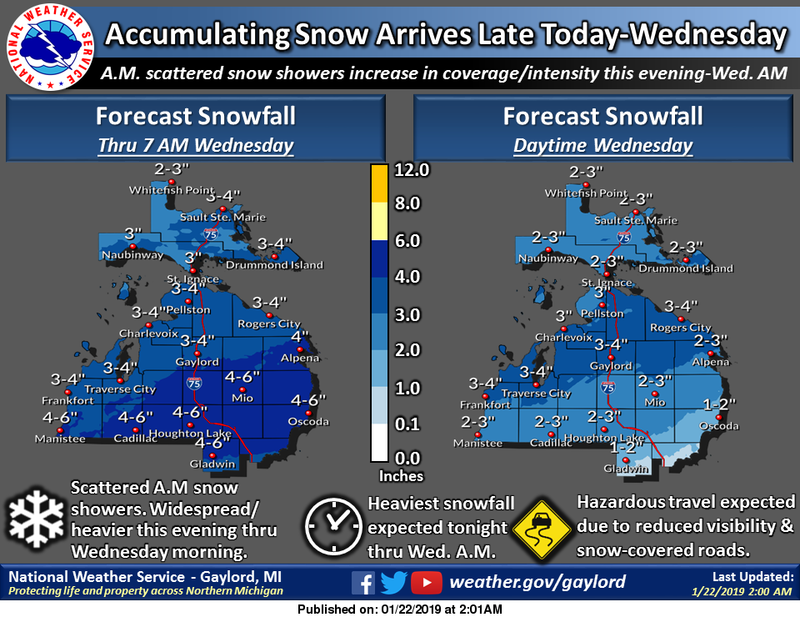 Snow will develop Tuesday afternoon and persist through the day Wednesday. Storm total snow accumulations of 6 to 9 inches are expected by Wednesday evening. Plan on difficult travel conditions, including during the morning commute on Wednesday. The advisory ends at 2 a.m. Wednesday when temps should be too warm for any ice to form. Rain may be heaviest from 4 a.m. to 8 a.m. and then lighter rain showers during the day as we hit the upper 30s to near 40 degrees with winds SW 8-18 mph gusting even stronger.